Arthur Bernard Bisguier (pronounced bis-GUY-er) was born in the Bronx on October 8, 1929. One source says he was taught chess at the age of four by his father, a mathematician. Another source says he learned to play chess when he was seven by watching games between his older sister and a cousin. One of his cousins was International Master Raymond Weinstein (1941- ). Bisguier was later coached by Alexander Kevitz (1902-1981). In 1944, aged 15, Bisguier took 3rd place at the Bronx Empire Chess Club. In July 1946, aged 17, he took 5th place in the 47th U.S. Open at Pittsburgh. Herman Steiner took 1st. It was the 1st Swiss System pairing for the US Open because of so many entries (58 players). He won the New York High School Championship while still in junior high school. In 1947, Bisguier graduated from the prestigious Bronx High School of Science. In 1948, he took 7th place at the 49th U.S. Open at Baltimore. On July 24, 1948, Bisguier, age 18, won the 3rd annual U.S. Junior Championship at Oak Ridge, Tennessee. Biguier won on Sonnenborn-Berger tiebreaks over Frank Anderson (1928-1980) of Toronto, Canada. Bisguier and Anderson each scored 8-2. In 1948, he won the Manhattan Chess Club Championship. In 1948-49, he played in the New York International tournament at the Manhattan Chess Club. He took 7th place. The event was won by Reuben Fine. In July 1949, Bisguier tied for 1st place with Larry Evans and Jim Cross in the 4th annual U.S. Junior Championship at Fort Worth, Texas. Bisguier won on tiebreak. In 1949, he won the Manhattan Chess Club Championship. In July 1950, he won the 51st U.S. Open at Detroit, scoring 9-3. There were 120 players. On his way back to New York after the tournament, he was in a car wreck near Batavia, New York. He suffered broken ribs and a gashed forehead. In 1950, he tied for 1st with Tartakower at the 2nd Stevenson Memorial at Southsea, England. In 1950, he was awarded the International Master title by FIDE. In 1951, Bisguier was the 8th highest rated player in the United States. From 1951 to 1953, Bisguier served in the U.S. Army as an enlisted soldier. In August 1952, he represented the USA and played board 4 in the 10th Chess Olympiad in Helsinki. The USA team took 5th. In 1952-53, he won the 3rd annual Christmas tournament at Vienna, scoring 9-2. In August 1953, he played in the 54th U.S. Open at Milwaukee. Donald Byrne won the event. In 1953, he took 1st place at the Philadelphia Candidates' Tournament for the U.S. Chess Championship. In July 1954, Bisguier won the U.S. Chess Championship at the Marshall Chess Club in New York at the age of 24, scoring 10-3. Bisguier was fresh out of the Army and attended college classes at Pace College in Manhattan during the day. He slept at night in of the Marshall Chess Club's upstairs apartments. In 1954, he won the 2nd Pan American Chess Championship at Los Angeles, organized by the Hollywood Chess Group. In 1955, Bisguier was the 4th highest USCF rated player in the country, with a 2587 rating. Sammy Reshevsky, Larry Evans, and Robert Byrne were the three highest rated players. In September 1955, he played in the Interzonal at Gothenburg, Sweden. The event was won by David Bronstein. In 1955, he graduated from Pace College (now Pace University) in New York. In 1955-1956, Bisguier tied with Larry Evans in the 2nd Rosenwald tournament at New York. Both scored 6 out of 10. In August 1956, he won the 57th U.S. Open at Oklahoma City on tiebreaks over Jimmy Sherwin. Both scored 9.5 out of 12. In October 1956, Bisguier took 2nd in the 3rd Rosenwald tournament at New York. The event was won by Sammy Reshevsky. Bisguier beat Fischer in the first game they ever played. After that, Bisguier lost 13 consecutive games against Fischer over the years. In 1956, IBM was looking for computer programmers. IBM put an ad in the December 1956 issue of Scientific American and the New York Herald Tribune newspaper seeking anyone interested in computer programming. The ad featured a black knight chess piece, and said that "those who enjoy playing chess or solving puzzles will like this work." One of the applicants that responded to the ad was US chess champion Arthur Bisguier. Bisguier was then hired as an IBM programmer. Bisguier became a good programmer, but he needed time off for chess tournaments. Eventually, Bisguier had to leave IBM to spend more time playing chess and becoming a chess professional. In 1957, Bisguier lost a training match to Sammy Reshevsky at New York. Reshevsky won 6-4. In 1957, he was awarded the International Grandmaster title by FIDE. In 1957, he tied for 1st place with Bobby Fischer at the 58th U.S. Open at Cleveland. Fischer was awarded the title on tiebreak. At the conclusion of the U.S. Open, it was assumed that Bisguier won the tournament. He took the trophy and prize money ($750) home. When he got home, the tournament director called Bisguier to say he was not the winner. After recalculating the tie-break points, it was determined that Fischer was the winner on tie-breaks. Bisguier later gave the trophy to Fischer. In 1957, he won the Manhattan Chess Club Championship. In 1958, he won the Manhattan Chess Club Championship. In 1958, he played board 3 at the 13th Chess Olympiad in Munich. In 1959, he married Carol Collins and honeymooned in Omaha, Nebraska. That's because Bisguier was playing in the 60th US Open, which he won. Carol later became a successful New York lawyer. In 1960, Bisguier took 2nd place in the U.S. Speed Chess Championship. Pal Benko took 1st place. Bobby Fischer took 3rd place. In October 1960, he played board 4 at the 14th Chess Olympiad in Leipzig. In 1961, he played at Bled and took 14th place. Tal took 1st, followed by Fischer. In November 1961, he won the Bruno Forsberg Memoral in New York. In 1962, Bisguier acted as Bobby Fischer's second in international tournaments. In April 1962, he played in the Interzonal at Stockholm. Fischer won the event. In 1962, Bisguer gave a 12 game clock simultaneous exhibition in Vancouver, BC. He won 11 and drew 1. In the 1962-63 U.S. Championship (15th US Ch and FIDE Zonal Tournament), he took 2nd place, behind Fischer. In 1964, he won the Southern Association Chess Championship at Huntsville, Alabama. Bisguier was invited to the tournament and was the highest rated player and the only grandmaster in the event. He almost didn't play in the event. He promised to give a simultaneous exhibition before the tournament. A black man wanted to participate in Bisguier's simultaneous exhibition as one of the opponents. The organizers refused to let the black man play. Bisguier told the organizers to allow the black man to play; otherwise he would not give the simul, and not participate in the Southern Association Chess Championship. The organizers reluctantly allowed the black man participate in Bisguier's simul. In November 1964, he played board 4 at the 16th Chess Olympiad at Tel Aviv. In July 1965, Arthur Bisguier won the 4th annual Pacific Southwest Open, played in Santa Monica. In 1966, he won the New York Open. In 1967, he won the Manhattan Chess Club Championship. In 1968, he won the Manhattan Chess Club Championship. In 1969, he won the Manhattan Chess Club Championship. In 1969, he took 2nd place, behind Boris Spassky, at the San Juan Internatonal in Puerto Rico. In 1969, Bisguier tied for 1st place at the 70th U.S. Open at Lincoln, Nebraska. Pal Benko won on tiebreak. In March 1970, he tied for 1st place with Larry Evans at the National Open at Sparks, Nevada. In March 1970, he won the 3rd Goldwater Invitational Tournament at New York. In February 1971, he took 2nd at the 11th Costa del Sol International Tournament in Malaga, Spain. The event was won by Arturo Pomar. His second place prize included a monster-sized trophy cup. Bisguier would rather have had the 3rd place prize, a very nice wrist watch, won by Pal Benko. Bisguier tried to leave the big trophy cup in his hotel room, but a bellman found it and chased Bisguier down to give it back to him. Bisguier gave the bellman some money to have him mail the cup back to him in the United States. When it did arrive, it was broken into a thousand pieces. In May 1971, he won the Marshall Chess Club Rapid Tournament championship. In February 1972, he won the 5th Goldwater Invitational Tournament at New York. In 1972, Bisguier did television commentary during the Fischer-Spassky world championship match. In 1972, he played board 4 at the 20th Chess Olympiad in Skopje. In March, 1973, Bisguier won the 3rd annual Louis D. Statham International Tournament at Lone Pine, California. In April 1973, he tied for 2nd with Andras Adorjan at the Birmingham, England International Tournament. The event was won by Tony Miles. In 1974, he won the National Open. In 1974, he co-wrote (with Andy Soltis) American Chess Masters from Morphy to Fischer. In 1978, he won the 12th National Open at Charleston, SC. In 1979, he tied for 1st in the World Open at Philadelphia. In 1980, he took 1st place in the first-ever U.S. Grand Prix, sponsored by Church's Fried Chicken. In 1981, he won the 22nd Mid-South Open at Memphis. In 1988, Bisguier played 49 games simultaneously over a chess computer. In 1989, he took 1st place in the U.S. Senior Open, held in New Jersey. In 1997, he took 1st place in the U.S. Senior Open. In November 1998, Bisguier (2386), age 69, took 1st place in the U.S. Senior Open at Denver. In April 2000, Bisguier (2379) tied for 3rd in the New York State Open. Ed Formanek and Dmitry Schneider tied for 1st. In November 2002, Bisguier (2282) took 10th place at the US Senior Open in Ventura, California. Anthony Saidy and Stephen Jones tied for 1st. In 2003, he wrote The Art of Bisguier: The Early Years: 1945-1960. In 2004, at the age of 74, he won the Yanofsky Memorial in Winnipeg, scoring 5-1. 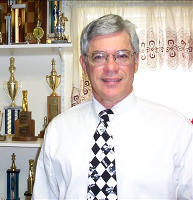 On March 18, 2005, the USCF proclaimed Bisguier as the "Dean of American Chess." That title had previously belonged to Arnold Denker (1914-2004) until his death two months earlier. In June 2005, Bisguier (2239) tied for 8th place at the US Senior Open in Las Vegas. Walter Browne won the event. In 2008, he wrote The Art of Bisguier: Selected Games 1961-2003. On May 22, 2014, his wife, Carol, died at the age of 80. In October 2014, Bisguier played in his last USCF rated tournament in Natick, Massachusetts. He was still actively playing at the MetroWest Chess Club, 15 miles west of Boston. He died on April 5, 2017 at a care facility in Framingham, Massachusetts, at the age of 87. He died of respiratory failure. Until his death, Bisguier was the oldest active grandmaster in the U.S. He is survived by his daughters, Erica and Cele, and a sister, Sylvia Prival. Bisgueir has likely played more people than any other U.S. grandmaster, giving exhibitions at hospitals, colleges, prisons, and other locations around the country. Bisguier was such a generous man that in some of the chess tournaments he won, he returned his cash prizes back to the tournament directors when they lost money on an event.